More than 70% Vietnamese is farmer and to be considered Vietnamese Culture are based on Agriculture, so that our strategy is to focus on how to bring more advances for farmers with concern how to bring more benefit and latest/highest technology for Vietnamese Agriculture. To target this focus, we concentrated on creating from bottom to the top with latest technology, professional support and right recommendation from beginning to help them understanding more and more via our top special products in the world. Other side, Vietnam is leading in the world for planting paddy/rice, coffee and pepper. So that we are surely that we are very strong experiential on planting and taking care of these crops. From these experience and knowledge, we would like to transfer to other countries where cultivation is still lower or less knowledge than Vietnam. We can bring our knowlege, special products to these countries and working together with them in order to help them increasing yield and quality for all crops. Greendelta is very keen to select partners and products because these kinds of products are not only help to protect crops but it is also caused pollution and toxicities. Beside useful, it is also harmful for health and environment. That is a reason why we concentrate on only high-tech products and Organic or Biological products. As our assignment in the beginning, we also have full responsibilities with society and all products have been supplied by Greendelta, must surely be safety and very quality products. 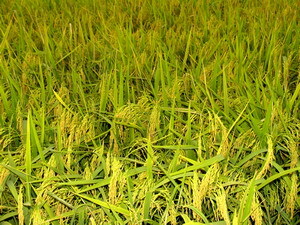 Greendelta concentrate more on Tropical Hybrid Seeds from which can provide top high quality products and can be resistant with diseases and insects. This means that growers can get higher income from selling their quality crops and using less cost to grow and manage their crops. All hybrid seeds from Greendelta have been selected carefully to make sure that growers can harvest highest yield and best quality crops.